Disclaimer: I was provided with these products free of charge for the purpose of this post. Bhaala draws from his Indian heritage and creates an eclectic mix of pieces. He has mixed the eastern culture to creative some individualistic pieces. Black Onyx and Turquoise Jaap Mala is my absolutely favorite. It also happens to be something which I had been on a look out for since a long time. The Bone With Turquoise Bracelet would be my second favorite, though it is a tab-bit big on my tiny-little-wrists. Nonetheless I love it and I believe would make a great addition to my arm party. 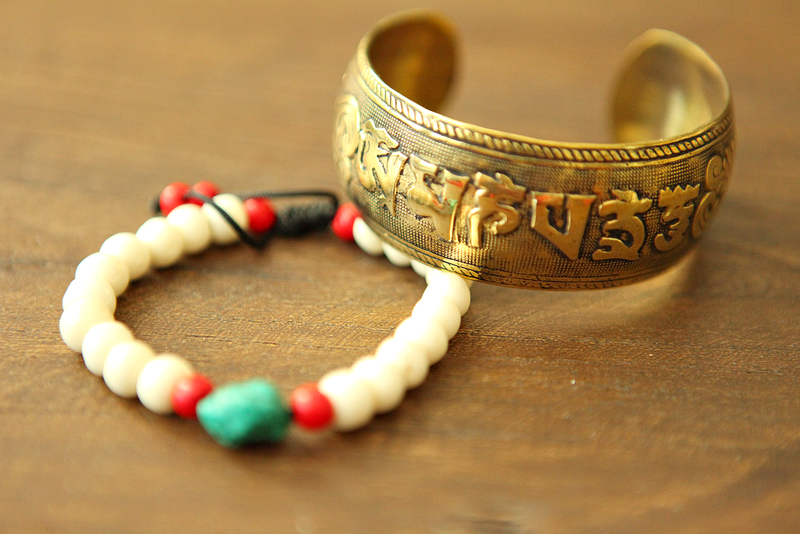 Last but not the least the Om Mani Padme Hum Brass Bangle is such a stunning statement piece. I love the antique finish and the cultural encryption on the bangle. 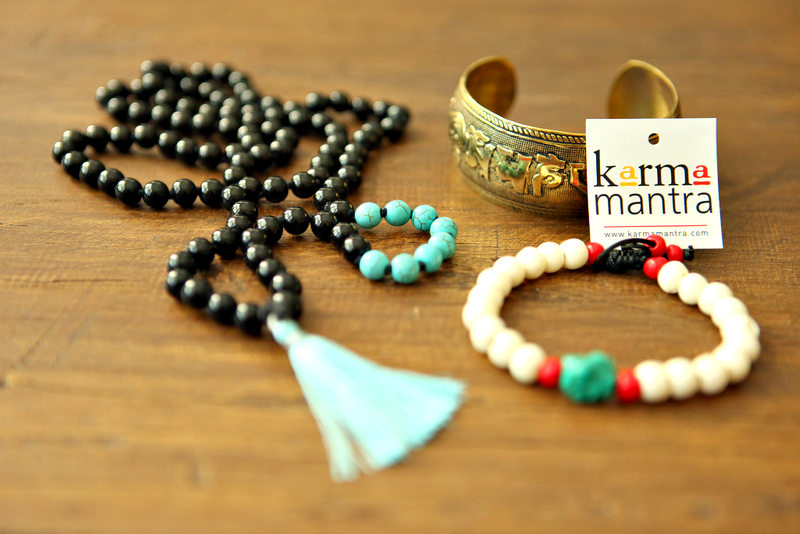 Being a jewelry hoarder collector, I believe Karma Mantra is definitely worth a visit and I am certain that you would find a piece or two which you wouldn’t be able to resist.